[S188] Jean Pierce, compiler, Descendants of Abraham Ball Jr. (Pismo Beach, CA: (unpublished), 7 December 2004). In 1890, according to the Toronto city directories, William J. Ball, teamster, lived at 98 Edwin Street; he was likely at that residence the following year, since his brother Alexander was recorded as living at that address. William was likely the teamster that was listed at 1040 Dufferin Street in 1893 and the "driver" for the Bolton Meat Co. living with his sister Margaret at 414 Sumach Street in 1894. [S191] Jean Pierce, "Bayonne NJ Ball Family email 03," e-mail message from Jean Pierce (Pismo Beach CA) to David G. Ball, 3 Dec 2004. [S200] 1851 (12 January 1852) Census of Canada, Part of the 2nd and 3rd range of Bourglouis in the County of Portneuf, Quebec. [S107] 1881 Canada Census, Federal, transcriptions made available by The Church of Jesus Christ of Latter-Day Saints online at www.familysearch.org, St. David's Ward, Toronto, York, ON, District 134-B, p. 108, Household 523. [S203] Ontario Registrations of Marriages 1869-1922, Division Registrar Vital Statistics Records 1858-1930, Marriage License Books 1907-1910, Delayed Registrations of Marriages 1892-1916, and County Marriage Registers 1858-June 1869, various microfilm (all as viewed on-line at Ancestry.com) MS932 (695 reels), MS940 (28 reels), MS945 (12 reels), MS948 (4 reels), and MS248 (14 reels), Archives of Ontario, Toronto, York Region, ON, Canada, reel 82, p. 569, item 339 (stamped 006971). [S203] Ontario Registrations of Marriages, reel 111, (stamped 015048). [S112] 1861 (14 January) Canada Census, Cap Sante, Portneuf, Quebec, District 11, p. 66 (stamped). [S115] 1871 (2 April) Canada Census, Ontario, District 47, Toronto East, St. David's Ward, p. 44 (film C-9973). [S111] 1891 (6 April) Canada Census, Toronto, York, Ontario, District 132 York West, Subdistrict H, Division 4, p. 23, microfilm T6381. [S105] 1901 (31 March) Canada Census, Caledon, Cardwell, Ontario, District 51-8-2, page 4. [S202] Ontario Registrations of Births and Stillbirths 1869-1909; Delayed Registrations and Stillbirths (“50” Series) 1869-1907; Delayed Registrations of Births and Stillbirths (“90” Series) 1869-1907; Direct Clergy Returns for Simcoe County Births, Marriages, and Deaths 1892-1896; Evidence for Delayed Registrations of Births 1861-1897; and Division Registrar Vital Statistics Records 1858-1930, microfilm (all as viewed on-line at Ancestry.com) MS929 (206 reels), MS930 (51 reels), MS933 (50 reels), MS936 (1 reel), MS946 (2 reels), and MS940 (parts of 28 reels), Archives of Ontario, Toronto, York Region, ON, Canada, reel 18, page 351, item #797 (27579 stamped). [S202] Ontario Registrations of Births, reel 52, page 441, item #886 (039970 stamped). [S202] Ontario Registrations of Births, reel 57, page 392, item #2364 (042643 stamped). [S202] Ontario Registrations of Births, reel 69, page 753, item #2817 (045487 stamped). [S202] Ontario Registrations of Births, reel 85, page 379, item #720 (041761 stamped). [S202] Ontario Registrations of Births, reel 113, page 488, item #55 (038360 stamped). There was only one Charles R. Ball, plasterer, entry in any of the Toronto city directories. His residence was 97 Amelia Street in 1883, 252 Sumach Street for 1884 - 1886, 164 River Street in 1887, 5 Symes Place (listed as a plasterer for E. G. Woodley) in 1888, and 93 Amelia Street in 1889. 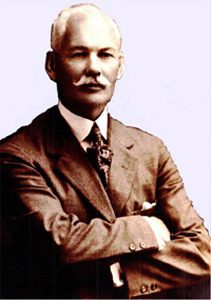 Charles R. Ball, plasterer, next appeared in 1893 at 135 Tecumseth Street, then in 1894 at the residence of his mother (owned by his brother Abraham) at 302 1/2 Yonge Street; he was then employed by W. H. Crowford & Company. He appears at this last residence the next two years, first as a plasterer employed by Toronto Brass & Plating Co., then as a polisher for Toronto Lock Company. Charles was not noted in the Toronto city directories after 1896. [S107] 1881 Canada Census, Federal, transcriptions made available by The Church of Jesus Christ of Latter-Day Saints online at www.familysearch.org, St. David's Ward, Toronto, York, ON, District 134-B, p. 73, Household 349. A Jacob Ball only shows up twice in the city directories, first in 1879 as a stove mounter residing at 354 Wellesley Street, then in 1880 as a laborer residing at the same place. [S203] Ontario Registrations of Marriages 1869-1922, Division Registrar Vital Statistics Records 1858-1930, Marriage License Books 1907-1910, Delayed Registrations of Marriages 1892-1916, and County Marriage Registers 1858-June 1869, various microfilm (all as viewed on-line at Ancestry.com) MS932 (695 reels), MS940 (28 reels), MS945 (12 reels), MS948 (4 reels), and MS248 (14 reels), Archives of Ontario, Toronto, York Region, ON, Canada, record #0011126 (item #304). [S211] Charles E. Goodman, "Toronto ON Ball Family email 02," e-mail message from Charles E. Goodman (North Saanich, BC, Canada) to David G. Ball, 29 Dec 2005. [S202] Ontario Registrations of Births and Stillbirths 1869-1909; Delayed Registrations and Stillbirths (“50” Series) 1869-1907; Delayed Registrations of Births and Stillbirths (“90” Series) 1869-1907; Direct Clergy Returns for Simcoe County Births, Marriages, and Deaths 1892-1896; Evidence for Delayed Registrations of Births 1861-1897; and Division Registrar Vital Statistics Records 1858-1930, microfilm (all as viewed on-line at Ancestry.com) MS929 (206 reels), MS930 (51 reels), MS933 (50 reels), MS936 (1 reel), MS946 (2 reels), and MS940 (parts of 28 reels), Archives of Ontario, Toronto, York Region, ON, Canada, reel 41, page 323, item #1937 (038643 stamped). Alexander Ball first shows up in the Toronto city directories in 1888 residing with his father at 336 Sumach Street and listed as a moulder for J. R. Armstrong & Company. He was still at that residence in 1890, but then a moulder for E&C Gurney Company. In 1891 Alexander is back with J.R. Armstrong & Company, but residing at 414 Sumach Street with his mother. In 1892 Alexander shows up for the last time in the city directories as living at 98 Edwin Street owned by his brother William. Abraham shows up in the Toronto city directories at age 18 living on the west side of Borden Street. The next year, 1879, as well as for 1880, the directory says he was a clerk and living at the intersection of Borden and Harbord. The 1882 directory shows him as a salesman living with his father at 336 Sumach Street. By 1884 Abraham was a partner with Henry Crumpton in A. Ball & Company, selling "gents furnishings" at their shop at 298 Yonge Street; Abraham still resided with his father. In 1885 the residence is the same (although he was likely married by then), but the shop moved to 246 Yonge Street. The next year Abraham moved his residence to 232 Sumach Street, the third of the family on that street. The next two years the residence was in the directories as 277 Yonge Street. The moves continued in 1889 with the shop going to 302 Yonge Street and the residence to 76 Macpherson Avenue West. In 1890 there was a change in the corporate structure of the firm, now "Ball & Company" and apparently owned by his wife, Elizabeth. Abraham is shown as the manager; both lived at 780 Yonge Street. In 1891 the residence again moved, this time to 302 1/2 Yonge Street. In 1892 the business was a few doors away to 306 Yonge Street and the residence to 153 Cumberland Street. Again in 1893 the residence moved to 266 Avenue Road. Abraham's fortunes seemed turn for the worse in 1894, since his job was then as a salesman for Thomas Thompson & Son; the residence went to 860 Palmerston Avenue. In 1895 Abraham is back in his own shop selling gents' furnishings from a combination shop and residence at 360 Queen Street West. By 1898 Abraham is reduced to being a clerk at T. Eaton company and living at 19 Olive Avenue, but bounces back to being manager of Ball & Company and living at 218 Queen Street East, although his wife is still listed as the owner of the company and they finally stay put until at least 1904. Abraham Ball was president of the Ball Suspender Company of Toronto.5 Photo courtesy of Charles E. Goodman of North Saanich, BC, Canada. [S107] 1881 Canada Census, Federal, transcriptions made available by The Church of Jesus Christ of Latter-Day Saints online at www.familysearch.org, District 134, West Toronto, St. Patricks's Ward (H-2) p. 87. [S105] 1901 (31 March) Canada Census, Toronto, York, Ontario. [S202] Ontario Registrations of Births and Stillbirths 1869-1909; Delayed Registrations and Stillbirths (“50” Series) 1869-1907; Delayed Registrations of Births and Stillbirths (“90” Series) 1869-1907; Direct Clergy Returns for Simcoe County Births, Marriages, and Deaths 1892-1896; Evidence for Delayed Registrations of Births 1861-1897; and Division Registrar Vital Statistics Records 1858-1930, microfilm (all as viewed on-line at Ancestry.com) MS929 (206 reels), MS930 (51 reels), MS933 (50 reels), MS936 (1 reel), MS946 (2 reels), and MS940 (parts of 28 reels), Archives of Ontario, Toronto, York Region, ON, Canada, reel 91, item 369 (stamped 042122). [S105] 1901 (31 March) Canada Census, Toronto, York, Ontario, Ward 2, B13, p. 13. [S201] 1911 (1 June) Canada Census, Toronto North, Ontario, Ward 5, ED 4, p. 9. [S202] Ontario Registrations of Births, reel 74, page 404, item #2437 (043052 stamped). [S202] Ontario Registrations of Births, reel 102, page 439, item 1040 (stamped 040508). [S202] Ontario Registrations of Births, reel 103, page 741, item 4439 (stamped 005459). [S202] Ontario Registrations of Births, reel 119, page 575, item 4334 (stamped 043253). [S202] Ontario Registrations of Births, reel 130, page 421, item 2516 (stamped 041047). [S202] Ontario Registrations of Births, reel 138, Schedule A (024479 stamped). [S202] Ontario Registrations of Births, reel 149, page 79, Schedule A (002061 stamped).